We are honored to host the Fall Series of Awaken Ministry! Our hope through this ministry is simply to bring people into an experiential encounter with Jesus Christ, such that they would be so touched by God’s real presence, they would be compelled to go out and share the Good News with others! 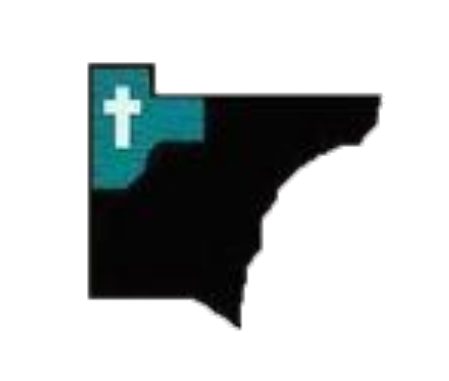 We are a grass roots ministry and are not affiliated with any particular parish. We are simply a small group of faithful lay Catholics who love the Lord and the Catholic Church, and have a desire to respond to the call of The New Evangelization. 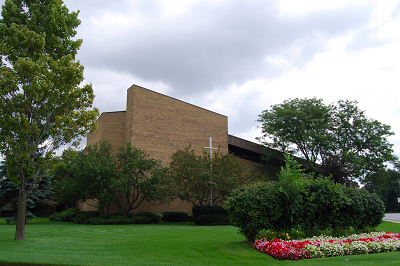 Awaken Ministry is a monthly outreach currently hosted by various Catholic parishes in the Archdiocese of Detroit, MI. The basic format of an Awaken experience is three-fold: praise and worship, the preached Gospel, and Eucharistic Adoration. Each Awaken event begins with upbeat praise and worship music lead by our band and worship leaders, followed by dynamic preaching of the Gospel message, and culminating with a profound experience of Eucharistic Adoration, which is accompanied by more praise and worship music and a time of silent adoration. Key elements such as special lighting and sound, video screens displaying worship imagery and song lyrics, a creatively enhanced environment along with contemporary praise and worship music, are all meant to foster and enhance the worship experience. Following this time of praise, worship, prayer and adoration, there is an opportunity for fellowship and hospitality, where those in attendance can share with one another about what they have just experienced. Through much prayer and the power of the Holy Spirit, Awaken Ministry has been born. May God continue to guide and direct us each and every step of the way, and may everything we do be for the greater honor, glory and praise of our Lord and Savior, Jesus Christ! Weather permitting, the Hunt will take place outside. If not, it will be held inside our Parish Center Building. Please bring an Easter Basket for the Hunt. If you forget, a paper bag will be provided for you. Please return the below form to the Parish Office, Sunday Collection Basket or when you come to your Faith Formation Class. SATURDAY, OCTOBER 28, 2017 between 6:30 p.m. and 8:30 p.m. in St. Mary, Cause of Our Joy Parking Lot. 8200 N. Wayne Road (1/4 north of Westland Mall and between Art Van & Arby’s). We would like to invite your family to dress up and join us for some “spook”tacular games, freaky fun, and frightening good food. Trunk-or-Treat is a fun-for-the-whole family Halloween Alternative Event. Families are invited to come to the parish parking lot between 6:30 p.m. and 8:30 p.m. on Saturday, October 28th with your children to trick-or-treat. Our wonderful parishioners will be decorating their car or van trunks and passing out treats for all the trick-or-treaters who stop by (or you can team up with other parishioners or neighbors to decorate your car). After you trunk-or-treat, please come inside the Social Hall and participate in games and crafts and enjoy some food. There will be prizes for the best decorated trunks and acknowledgment for all children’s costumes. Complete the form below and return it to the Parish Office or in the collection basket at the weekend Masses by October 22nd. Families – Sign up and let us know how many children and adults will be attending so we can plan accordingly. You will be advised as to where to park when you arrive. (Yes, a family may choose to do both, have a vehicle parked to give out treats and have children participate in the trunk or treat activities.) Children will start trunk or treating at 6:30 p.m. to 7:15 p.m. Then go to the parish social hall to participate in games/crafts and enjoy food until 8:30 p.m.
Parishioners/Faith Formation Parents/Neighbors/Family and Friends, of St. Mary, Cause of Our Joy, we welcome all of you to participate in this family fun event. Sign up and reserve a parking space to give your treats from the trunk of your vehicle. (Space is limited.). You are asked to purchase your own “treats” that you will be giving out to our trunk-or-treaters. You may begin to arrive at 5:45 p.m. (after 4:30 p.m. Mass ends & the parking lot clears out) to get directed to your parking spot and finish decorating your vehicle. Nine of our High school teens are preparing for a week long summer mission trip to July 29 – August 5 with PIME Missionaries. We will be traveling to New York City to what is known as the Spanish Harlem. We will be staying at St. Lucy Parish. We will be working on two projects during the week. One will involve painting and repairing a former convent that will now be used as community center/retreat center and the other will be at senior center in the community. The teens just had a evening of preparation and we met our PIME staff partners that will be traveling with us from Detroit to New York City. Please keep the following teens in your prayers for our upcoming journey. Jr. High Youth Group Bonfire – This Friday! SATURDAY, OCTOBER 29, 2016 between 6:30 p.m. and 8:30 p.m. in St. Mary, Cause of Our Joy Parking Lot! We would like to invite your family to dress up and join us for some ghoulish games, freaky fun, and frightening good food. Trunk-or-Treat is a fun-for-the-whole family Halloween Alternative Event. Families are invited to come to the parish parking lot between 6:30 p.m. and 8:30 p.m. on Saturday, October 29th with your children to trick-or-treat. Our wonderful parishioners will be decorating their car or van trunks and passing out treats for all the trick-or-treaters who stop by (or you can team up with other parishioners or neighbors to decorate your car). After you trunk-or-treat, please come inside the Social Hall and participate in games and crafts and enjoy some food. There will be prizes for the best decorated trunks and children’s costumes. Complete the form below and return it to the Parish Office or in the collection basket at the weekend Masses by October 25th. Sign up as soon as you can!! 6:00 p.m. ­ 8:30 p.m. Registration Cost: $20.00 per child. (Families with three or more children are $15.00 per child). You may register at the parish office weekdays. Children will be given a CD with all of the VBS songs for them to take home on the last night of class. You will be given a t­shirt iron on to make a shirt for your child upon registration. Please wear your shirt the week of VBS. Due to a donation from a parishioner: All t-shirts will be provided for children participating in VBS! Please provide the T-shirt size for your child at registration. For Example: Size 6 or Size 8. Extra Bonus for parents: The iron-on-logo will also be pressed on for you. Please remember to fill your registration form correctly so your child receives the proper color.